LONDON: 22 MARCH 2017 - The Directors of ECR Minerals plc (the “Directors”) are pleased to provide the following update regarding the Company’s gold exploration licences in Victoria, Australia, which are held by its wholly owned Australian subsidiary Mercator Gold Australia Pty Ltd (“MGA”). This update is further to the Company’s announcement dated 3 February 2017. ECR is a mineral exploration and development company. 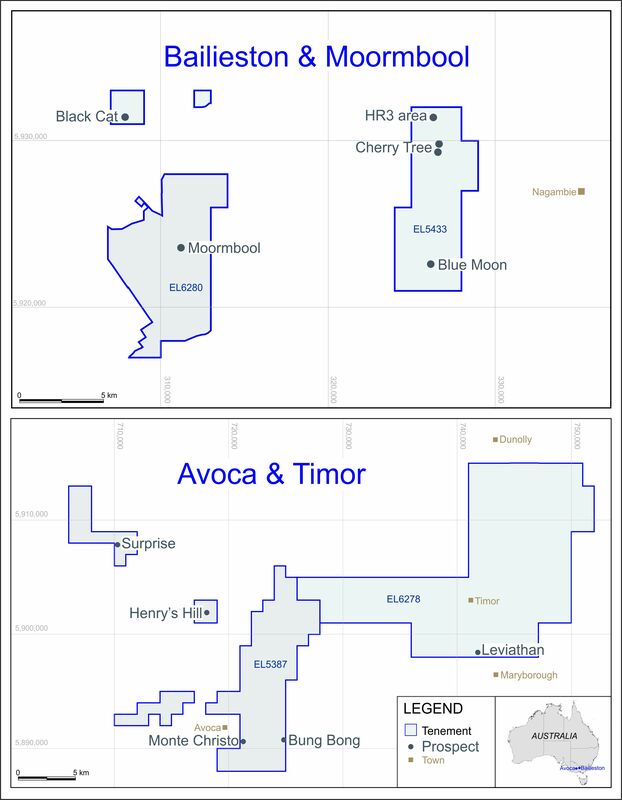 ECR’s wholly owned Australian subsidiary Mercator Gold Australia has acquired 100% ownership of the Avoca, Bailieston and Timor gold projects in Victoria, Australia.